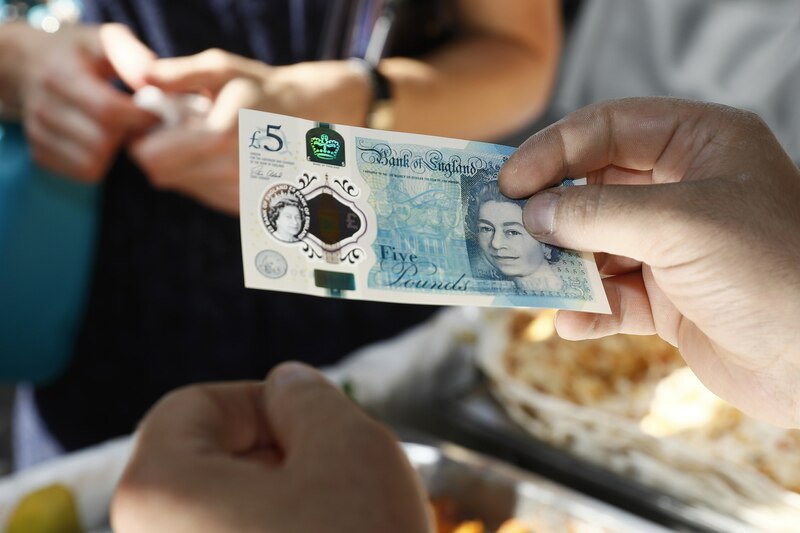 The new fiver has a lot of cool features: It’s waterproof, smaller, lighter, and plastic. But it gets even better when you shine a laser through it. And for those of you who haven’t been selling your fivers on eBay, you can try it out. All you need – quite obviously – is a new five pound note and a mini laser pointer. As scientist Steve Mould explains in his video, if you shine a laser through just the right spot on the Queen’s neck, with the note held in front of a wall, a ‘triangular star field’ appears behind. Basically, it’s just a cool galaxy looking laser pattern to show your mates. Whether the pattern is a deliberate security feature or just a side effect of how the Queen’s face is printed remains unseen – as is the case with some bank notes, where the value of the money appears if you do the same trick. So now after you’ve tried to rip apart and soak your new fiver to no avail, you can try this.